Heat oven to 350°F. Into ungreased 13x9-inch (3-quart) glass baking dish, “dump” cherries with cherry juice. In medium bowl, mix cake mix and carbonated beverage. “Dump” mixture over cherries. Bake 35 to 40 minutes or until toothpick inserted in center comes out clean. Cool about 15 minutes before cutting and serving cake. 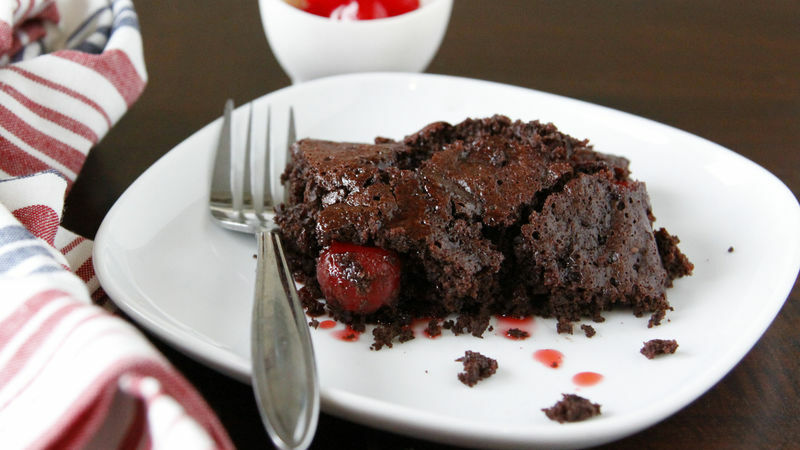 Serve with whipped cream and additional cherries. You could substitute cherry pie filling in place of the maraschino cherries and juice.